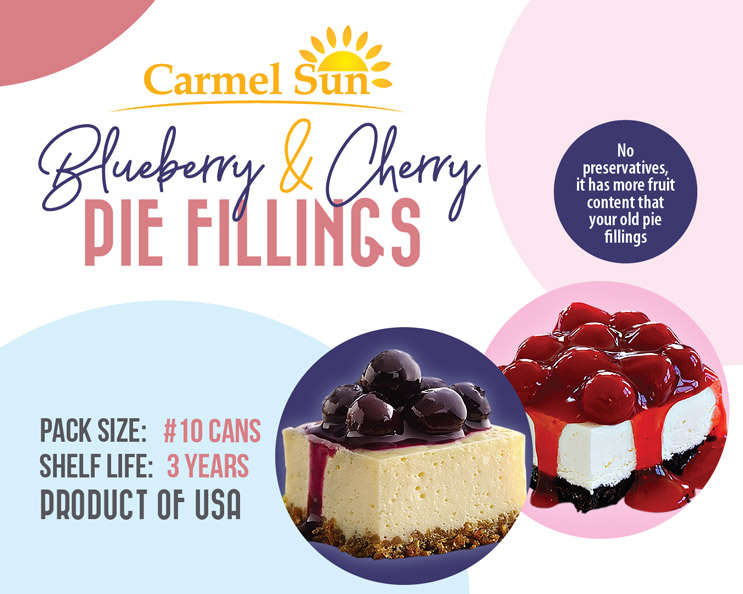 Our Blueberry and Cherry Pie fillings are now with no preservatives. It has consistently more fruit content than your current pie filling. It is not also limited as a filling, but also as a topping.